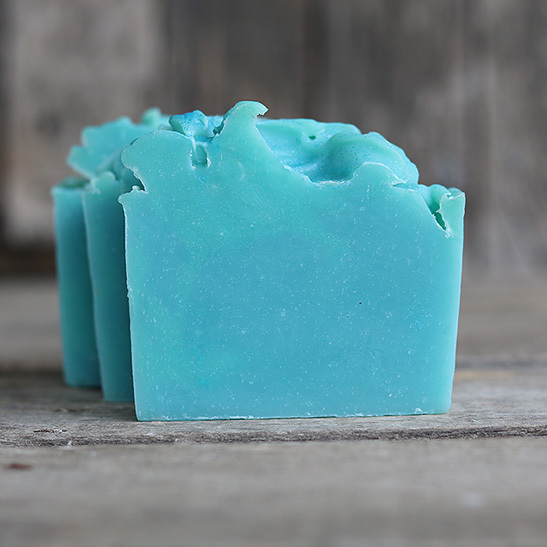 Blue Sugar Artisan Soap – Salted Rock Bath Co.
Blue Sugar artisan soap bars are gentle and long lasting. It is perfect for most skin types and helpful for anyone with skin conditions such as acne or eczema. Indulge in the crisp and clean scent of cucumber water, dew drops, and notes of blue agave sugar and cedarwood. 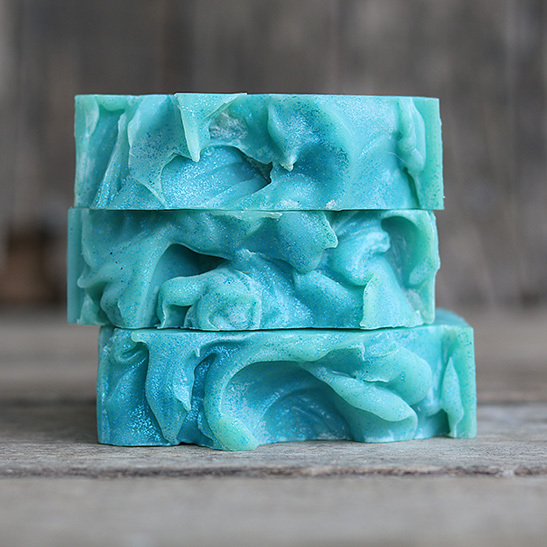 This soap bar is handmade using the cold process method. Any Actual "soap" is made when a chemical reaction called saponification takes place. This is the reaction between sodium hydroxide and the Fats/oils when mixed. Once the soap cures for about 48 hours, all sodium hydroxide is gone and saponification is complete. Our soaps cure for a minimum of 4 weeks which provides a mild and hard bar of soap. Sodium Hydroxide is listed in the ingredients only because it is used to create the soap. The substance does not remain in the finished product. All items at Salted Rock Bath Co. are created in small batches to ensure the best quality for each individual product. All items are tested by us, our family, and friends. No animal testing. Ever. Coconut Oil: Deep moisturizing. Thought to aid in treating various skin problems including psoriasis, dermatitis, eczema and other skin infections.